Last week we introduced Irsana Payzullaeva, this week we would like to warmly Pradyumna Nanda Vyshnav from India as our second intern. Pradyumna Nanda Vyshnav from India is our 2nd intern this summer. I am fascinated by the human/robotic spaceflight aspect and would like to see deep space manned/unmanned missions becoming a reality in the near future. 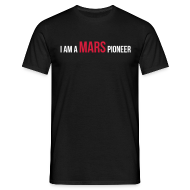 I am really interested in contributing to the field of space exploration. Therefore, I was looking to do something exciting over the summer which was closely related to this when Dr. Barbara Imhof, a very well-known space architect told me about the engaging projects OeWF was involved in. I immediately contacted Dr. Groemer and now here I am! As of now, I will be working on the procedure development for the Ground Radar Experiment of Glaciers (GPRoG) with the Principal Investigator (PI) and her team which will be conducted at the AMADEE-15 mission. This task is important during the mission as I also will have to train the analog astronauts to conduct the experiment in the field. 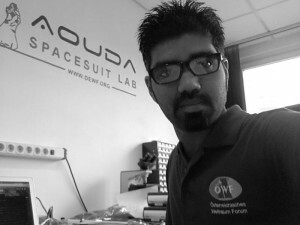 My second task is related to the modification/improvements on the AOUDA Spacesuit’s On-board Data Handling (OBDH) system. This may help in assessing the situation of the astronauts while they are on EVA’s (Extra-Vehicular Activity) in the field. This is one of the most beautiful places I have ever been in. The fact that it is surrounded by amazing mountains is just breathtaking. It makes me feel so good to live here because it is so serene and calm. And I have to say this, taking a stroll in the old town just takes one back to the medieval times. Tranquility at its best! We are glad having Pradyumna as intern this summer & wish him a great time!